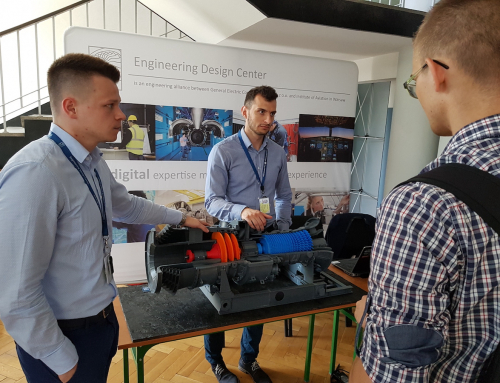 On Friday, June 12th EDC employees took part in “Krajowe Forum “Międzynarodowa współpraca instytutów badawczych” organized by Institute of Aviation. The event was inaugurated by Adam Struzik, Marshal of Masovian Voivodship. 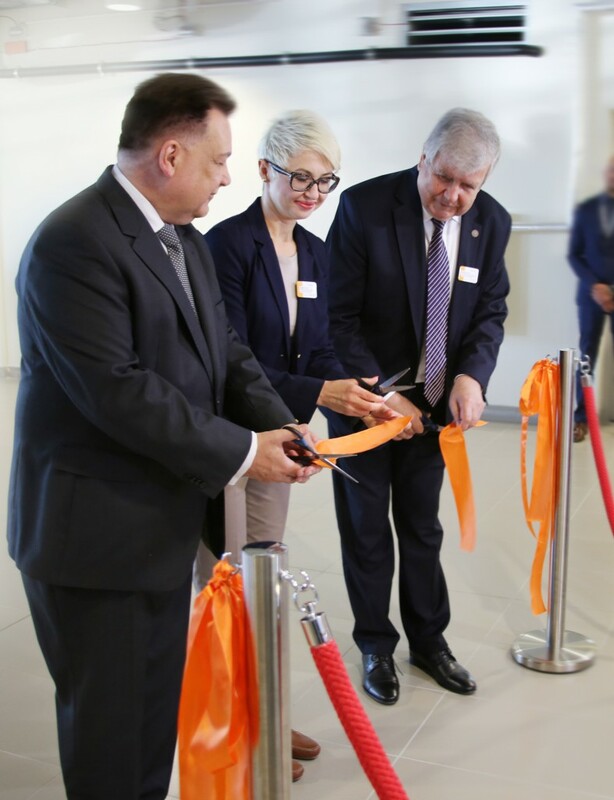 Our guest together with Magadalena Nizik, Chairman of General Electric Company Polska and Witold Wiśniowski, Director of the Institute of Aviation officially opened a new Innovative Air and Space Technology Center. 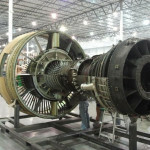 The new facility will be used not only by engineers from Institute of Aviation but also by General Electric Company Polska specialists. Due to this special occasion Magdalena Nizik presented how Engineering Design Center was created and described in details the international cooperation between Polish institute and American company. She underlined the biggest milestones in 15 years’ history of EDC. The conference was visited by 100 participants. It was also a great opportunity to learn how scientific institutions work in Poland. The presenters could share their own best practices and discuss all essential issues connected to Polish science and national industry.